Okay, I think I am addicted to zippers! I love this Easy Zipper Pouch tutorial so much I made two more. It has taken three tries to truly understand the pattern and now I think I could make one correctly. The first three have been a little wonky and I was having a hard time top stitching down the zipper but I figured out if I don't sew the zipper completely flush as suggested, then I don't have to trim the fabric and I can iron and top stitch easier. 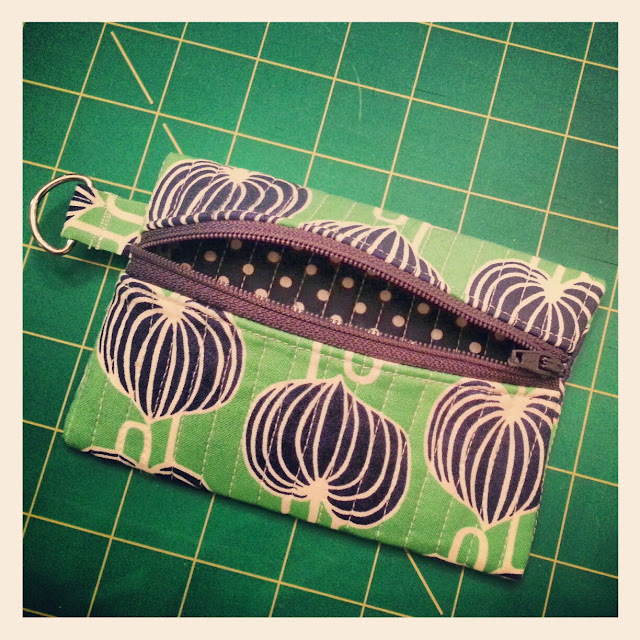 This is my first attempt at sewing zippers and it was so easy thanks to Dog Under My Desk. Check out her awesome site for a ton of easy and cute tutorials. I cannot wait to make a bunch more! Hey everybody! 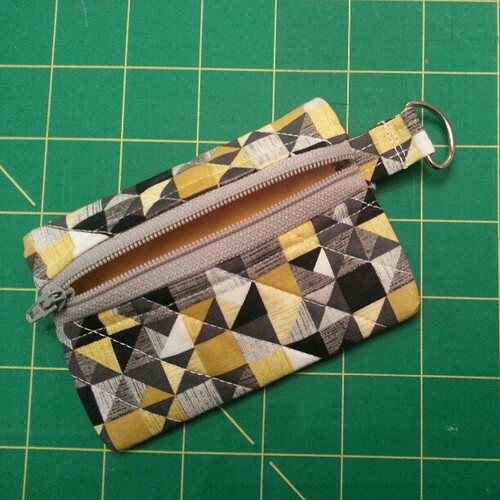 I finally started a quilting blog! YAY! First things first. I have to have an organized space to create otherwise I just can't concentrate. I have been hunting for the perfect fabric storage bins and decided on Sterilite Clip boxes 3.25"h x 11.0"w x 14.0"l. They hold over 12 yards of fabric! Clear and stackable, so you can find the perfect fabric quickly. 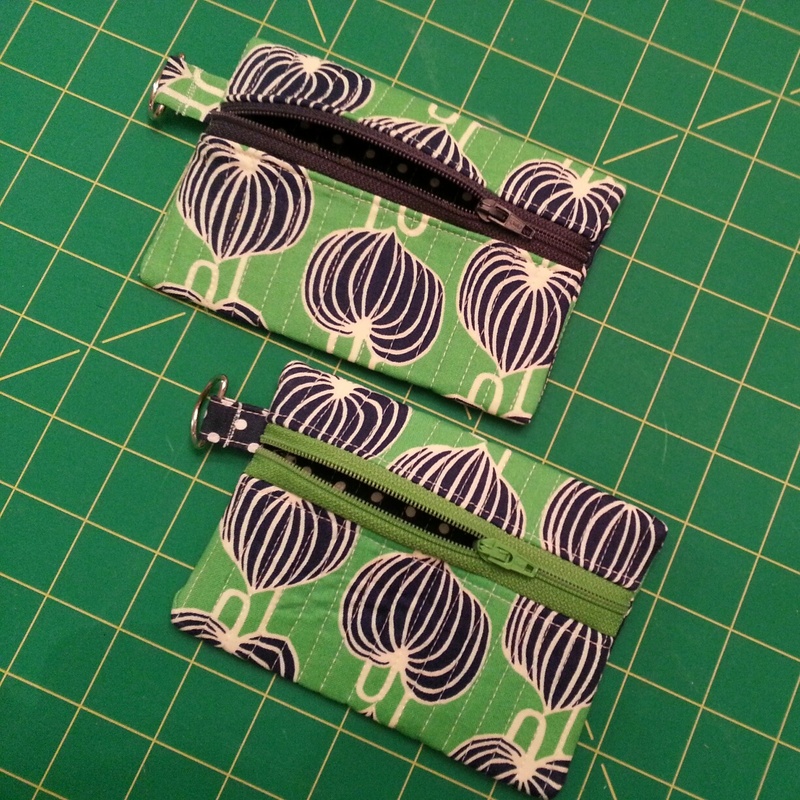 They are ideal for storing half, and quarter (fat or skinny) yards of fabric. Start with a fat quarter of fabric. Fold in half length-wise twice. Fold each end towards the center three times. Ta-da! Each fat quater ends up just under 6"x4". The same process works with skinny quarters and half yards.